The stock market crash story is getting boring and annoying to a large degree. Since 2009, there has been a constant drumbeat of the market is going to crash stories. In 2009, many experts felt that the market had rallied too strongly and that it needed to pull back strongly before moving higher up. They were calling for 15%-20% correction. Ten years later and most of them are still waiting for this so-called strong correction or crash. 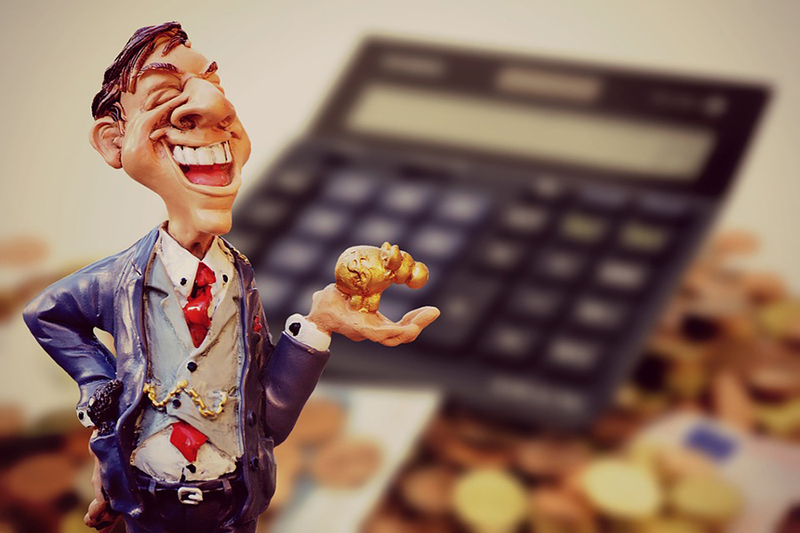 A stock market crash is a possibility but the possibility is not the same thing as certainty, and this is what seems to elude most of the naysayers. One day they will get it right as even a broken clock is correct twice a day. In the interim waiting for this stock market crash has cost these experts a fortune, both in lost capital gains and actual booked losses if they shorted this market. It’s 2017, and the markets are overbought, and we agree that they need to let out some steam, but as for a crash that will only occur when sentiment turns bullish. The crowd has not embraced this market and until they do corrections but not crashes is what we should expect. In fact, we penned an article titled “Dow Could Trade to 30K But not before This Happens”, where we discussed the possibility of the Dow trading to 30k before it crashes. The one factor that could alter this outlook would be for the masses to turn bullish suddenly. This market will experience a spectacular crash one day; nothing can trend upwards forever and eventually the market has to revert to the mean. Markets never crash on a sour note; the crowd is chanting in joy when the markets suddenly change direction. A simple look at previous bubbles will prove this; the housing bubble, for example, did not end on a note of fear; the crowd was ecstatic. Even the Tulip bubble that lasted from 1634-1637 ended on a note of extreme joy. Jim Rogers states that the next crash will be the worst one we have seen in our lifetimes. We’ve had financial problems in America — let’s use America — every four to seven years, since the beginning of the republic. Well, it’s been over eight since the last one. This is the longest or second-longest in recorded history, so it’s coming. And the next time it comes — you know, in 2008, we had a problem because of debt. Henry, the debt now, that debt is nothing compared to what’s happening now. In a broad manner of speaking, he is right, but the proverbial question as always is “when”; so far the naysayers have missed the mark by 1000 miles. This entire rally has been based on the fact that the Fed artificially propped the markets by keeping rates low for an insanely long period and infusing billions of dollars into the markets. One day the pied piper is going to collect but as we have stated over and over again over the years, that until the masses embrace this market, a crash is unlikely. A strong correction is, however, a certainty; it’s just a matter of time. 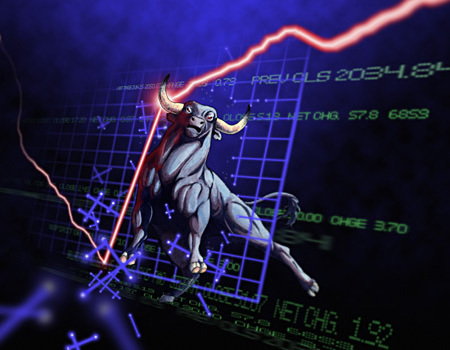 The market has defied every call, and even some of the most ardent of bulls are now nervous; we stated this would occur over two years ago. The Market has put in over 36 new highs this year and is living up to the new name we gave it late in 2016. Up to that point, we referred to this market as the most hated bull market of all time; after that, we started to refer to this market as the most Insane Stock Market Bull of all time. Insanity by definition has no pattern so expect this market to do things no other market has ever done before. We are using the word correction and not crash for until we start seeing non-stop headlines for Dow 35K, and the overall sentiment turns bullish, the markets are unlikely to crash. Sentiment analysis reveals that the crowd is still either uncertain or bearish when it comes to the stock market. 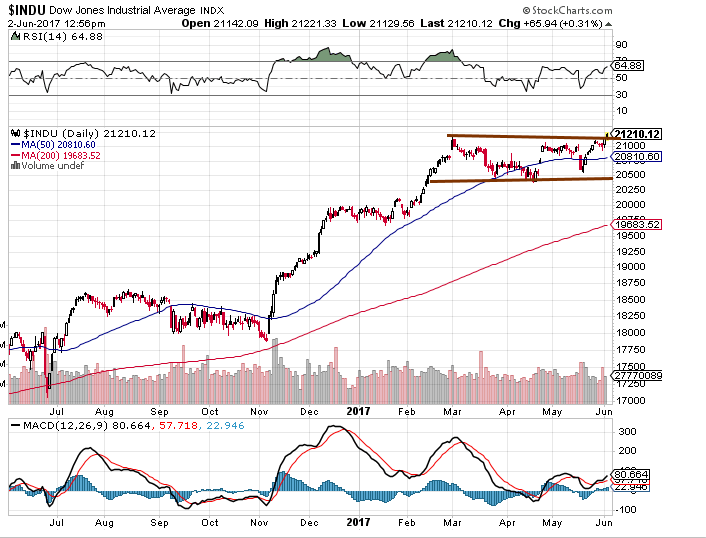 The article of interest: What every investor should know about the Dow theory? From a technical basis, the markets are extremely overbought. However, markets can remain irrational for a lot longer than most players can remain solvent. An overbought market does not mean that the market is ready to crash. 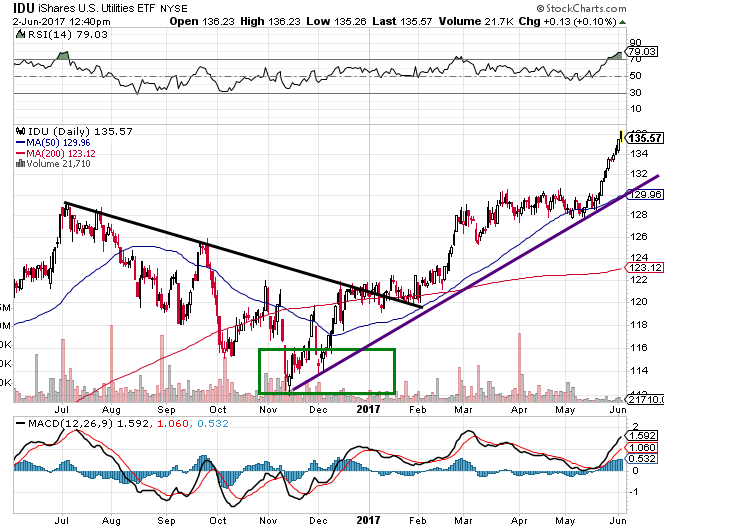 Take a look at the stock NVDA; the stock has been trading in the overbought ranges for over two years, and instead of crashing, it has continued to trend higher. On a separate note, Gold is holding up fairly well, and as long as it does not trade below 1250 on a weekly basis, it has a good chance of testing the 1360-1380 ranges with a possible overshoot to 1400. Don’t fixate on the crash factor; instead look for great stocks you would like to own. When the market eventually corrects, you will be in a position to pick up top players at a great price. 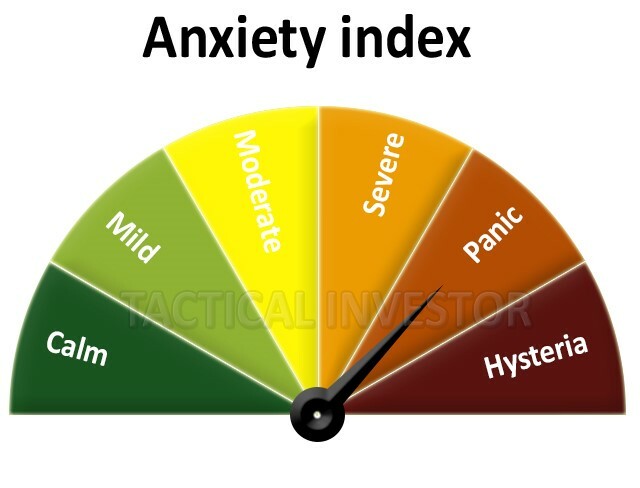 Is a Bear Market a possibility? Yes it is but so is death; nobody sits around worrying about that event every single day, do they? A new trend can begin that is based on fake news or false data to create the illusion all is well. Remember that the truth or lies are just a matter of perception. One person will swear that he is telling the truth, while another will swear that he is lying. From an observer’s perspective, both are correct. They are convinced of their position, so all you will do is waste your time and energy trying to sway them. Instead, you are better of letting them battle it out, while you sit down and take a look at the real events that are unfolding, most of which the masses are oblivious too. The main principle of trend investing is not to focus on the noise factor but to pay attention to the “reality factor”. In other words, trend investing focuses on what is going on minus the morality or judgemental angle. Whether you and I agree with it or whether it is morally right or wrong is irrelevant. Nothing can stop a trend in motion. This bull market is a perfect example of fake news driving a new trend; all the data imaginable has been manipulated to create the illusion that the economy is doing well. If we had allowed our personal opinions to dictate the way we trade, then like all the fools out there we would have missed the biggest bull run of all time. 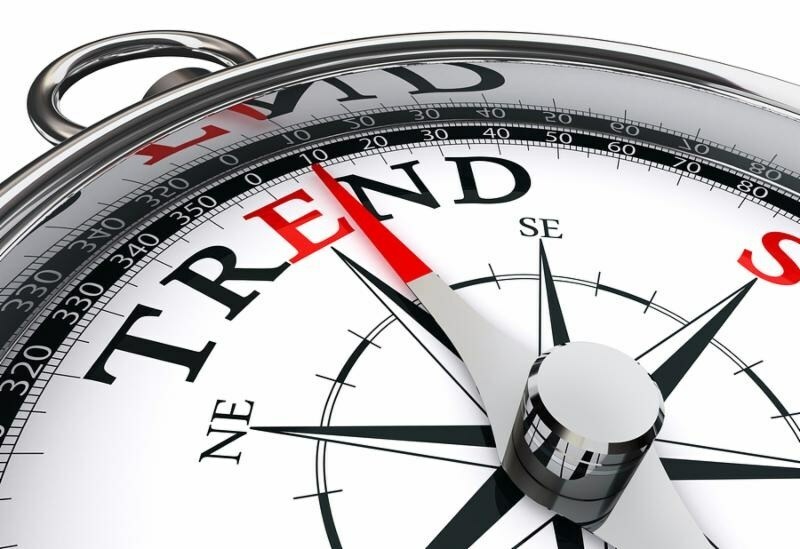 Trend investing provides you with the opportunity to see the real picture as opposed to the one the mass media forces you to focus on. The idea is to sell when the masses are dancing and buy when they are nervous. Throughout this bull-run, a plethora of reasons has been laid out to indicate why this bull should have ended years ago. Mind you most of those reasons are valid, but that is where the bucket stops. Being right does not equate to making money on Wall Street. In fact, the opposite usually applies. The Fed recreated all the rules by flooding the markets with money and creating and maintaining an environment that fosters speculation. The reason this is the most hated bull market in history is because there is nothing logical reason to justify it. In the 2008-2009 volume on the NYSE was in the 8-11 billion ranges and sometimes it surged to 12 billion. Before that, every year, the volume continued to rise, this indicates market participation. From early 2010 volume just vanished, it dropped to the 2-3 billion ranges and even lower on some days. Hence, all market technicians and students of the markets assumed that the markets would tank as markets cannot trend higher on low volume and that is where they erred.